Peter of Peter Draw Studio believes that art has the power to spread happiness and change lives. He has brought joy and hope to many children across Asia through his drawings. In this special Little Draw Boot Camp, Peter will be mentoring children ages 9 to 12 on portrait drawing techniques used in the art of caricature. Let your children pick up a fun talent this holiday season and be part of the Little Draw Movement to inspire and delight! 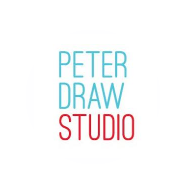 *All Little Draws might be invited to future community or charity drawing events organised by Peter Draw Studio.